Raid My Wardrobe is a recycled fashion event in Newcastle and the Central Coast, NSW, Australia, where women can buy and sell quality preloved and vintage clothing as well as accessories all under one roof. 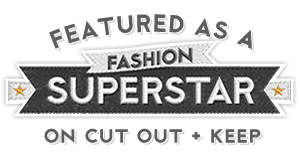 "Founded by Newcastle mum, Rachel Prest, who realised how much great clothing, languished in her own wardrobe. As she had little time to fuss with on-line selling or setting up a stall at an ‘outdoor’ market, Raid My Wardrobe was born. The event reflects Rachel’s own concerns about growing commercialism and her passion for preloved fashion. 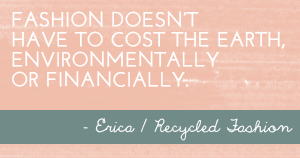 It is the perfect way to recycle old clothes or refresh your current wardrobe. Raid My Wardrobe celebrates women of all shapes and sizes with everything from chain store bargains to high-end designer wear and vintage treasures. Something ‘old’ is ‘new’ again at Raid My Wardrobe, where all garments, regardless of brand, are of value to a shopper. Step inside the wardrobe of another and spend a few hours raiding their wares. 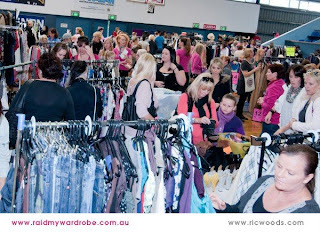 It’s a great day out; shopping locally, saving money and living more sustainably." From 10am to 2pm, $3 entry fee to each event. 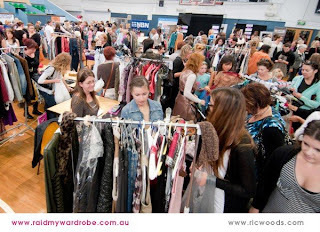 To sell clothes at the event, a stall hire package is $55 – $70 (pending event location). Which includes: 1 x trestle table, 2 x chairs (pending venue), space for 2 clothing racks, public liability insurance, GST. Gotta love a second hand market!